When litigants lose their final appeal in the Supreme Court, most of them learn to grin and bear it. However, lawyers tend to advise those with deep pockets to carry on the fight in different modes. Some desperate measures are filing applications for clarification and modification, moving review petitions and finally, curative petitions. Most of them turn out to be a triumph of hope over experience. The first method to revive the lost cause is to file an application for clarification, alleging ambiguities in the decision where none exists. The bench that passed the judgment usually sees through the game and dismisses it. Another technique is to file an application for modification of the order, pleading technical hurdles in its implementation. This is also perceived as a ploy to re-argue the case and is mostly rejected. If both stratagems fail, and there are more funds for litigation, there are two more options. The first one is moving a review petition. More than 90 per cent of them are dismissed in judges’ chambers during the lunch recess. A few months ago, 340 review petitions relating to land acquisition were massacred in minutes. It was a rare instance of a government authority returning twice with review petitions (Haryana Industrial Development Corp vs Mawasi). Hoping to contain the flow of such petitions, the Supreme Court a couple of weeks ago emphasised in a batch of petitions that a review was justified only when there was a serious error in the judgment (JSW Steel Ltd vs Sandur Manganese & Iron Ores Ltd). If the ingenuity of the lawyer and the client’s pockets are not yet exhausted, there is still another way. This path was broken by the Supreme Court itself – only to be regretted leisurely. In the case Rupa Ashok vs Ashok Hurra, the Court stated that “the almighty alone is the dispenser of absolute justice” and the rest might err. Ensuring certainty and finality of a judgment of the Court of last resort could not be made an end in itself. Even the law must bend before justice. With such good intentions, the new curative petition was forged by the Court. This petition must be accompanied by a recommendation of a senior advocate, stating that the case requires re-examination. The curative petition has to be first circulated to a bench of three seniormost judges. They will decide by a majority that the case should be re-examined. Only then the case will be heard by the judges, who heard the case originally. Despite such strict conditions, in the case Sumer vs State of UP, the Constitution bench for the first time gave vent to the rampant misuse of the provision for curative petitions. It said: “The apprehension of the bench (which delivered the Hurra judgement) that the remedy provided may not open the flood gates for filing a second review petition has come true as is evident from the filing of large numbers of petitions. It was expected that the curative petitions will be filed in the rarest-of-rare cases, but in practice, it has just been opposite.” The judgment quoted one certificate to show how casually they are issued. 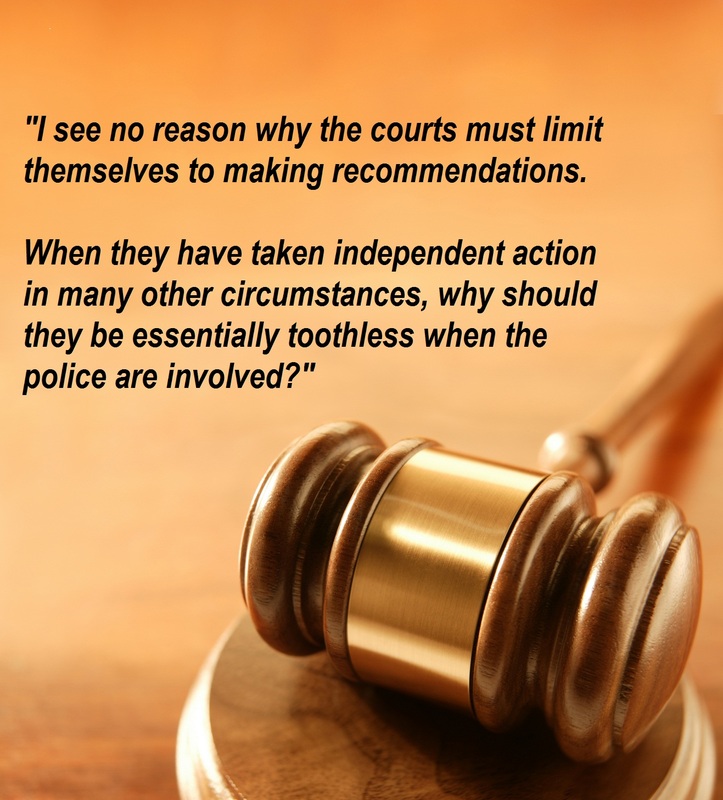 The senior counsel’s recommendation comes easily but, perhaps, not cheaply. The quest for perfect justice must end somewhere. “We are not final because we are infallible, but we are infallible only because we are final,” said US Supreme Court judge Robert Jackson. The Supreme Court, with over 66,000 cases before it, can hardly afford the luxury of providing more revolving doors to rich litigants. They must give way to the ordinary people waiting for years at the gates of justice.